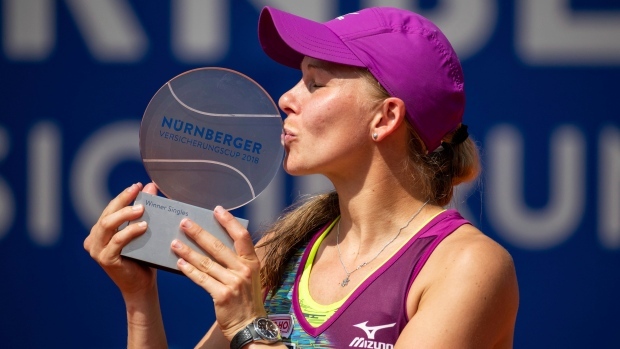 NUREMBERG, Germany — Swedish player Johanna Larsson won her first WTA singles title in three years by beating Alison Riske of the United States 7-6 (4), 6-4 in the final of the Nuremberg Cup on Saturday. Her only other career singles victory was on home soil at Bastad in 2015. Having come from a set down to win matches in the quarterfinals and semifinals, Larsson rallied from a break down in the first set and won the last four points of the tiebreaker. Larsson then won the final five games to take the match and deny Riske a second career singles title. "When I held for 4-2, I could see some signs that she was a little bit tired," Larsson said, "and that gave me a lot of energy to fight back."